The memorial site Sachsenhausen is a former concentration camp in Oranienburg, about 30 minutes north of Berlin. The camp was erected in 1936 and until 1945 more than 200,000 people were imprisoned here by the Nazis. 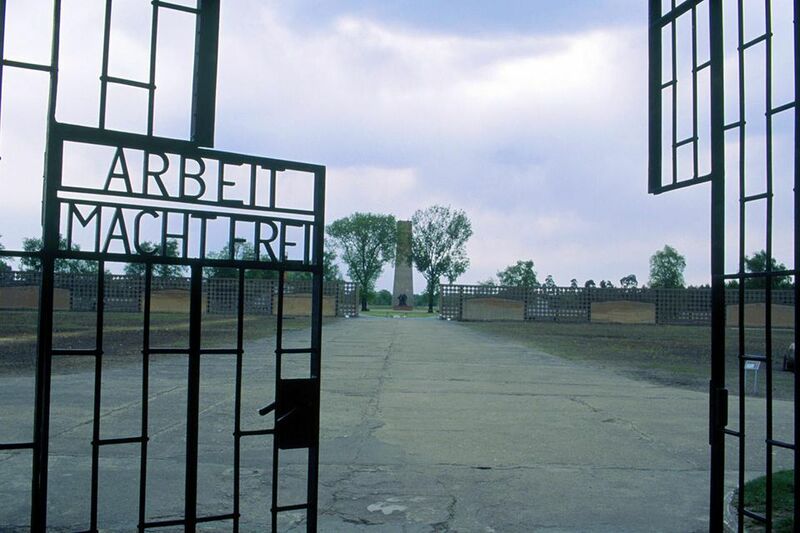 Sachsenhausen was one of the most important concentration camps in the Third Reich. It was the first camp established under Heinrich Himmler as Chief of the German Police, and its architectural ​layout was used as a model for almost all concentration camps in Nazi Germany. The camp was the administrative heart of all German concentration camps and it was the training ground for the SS. It was also here, that one of the biggest counterfeiting operations was conducted. Inmates were forced to produce forged American and British currency as part of a plan to undermine economies of the enemy. 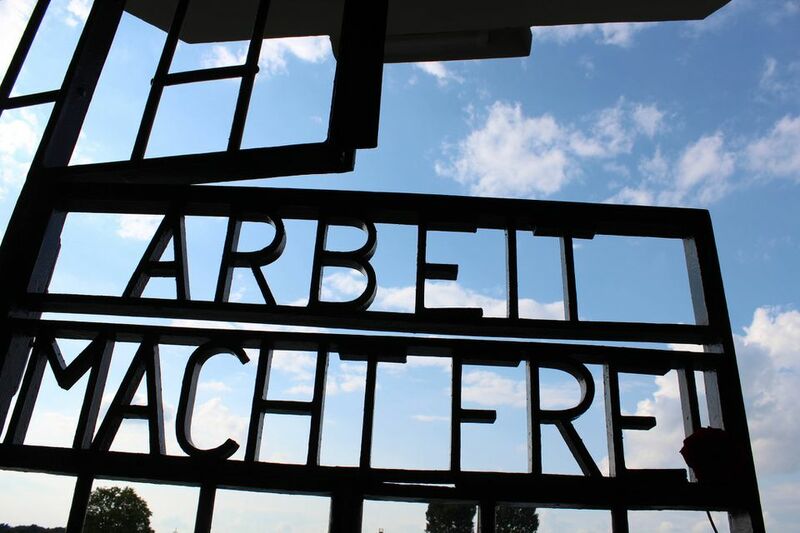 Sachsenhausen was not planned as an extermination camp like Auschwitz; it was a concentration camp, where inmates were held as prisoners and had to suffer forced labor. Still, tens of thousands died here due to malnutrition, torture, and disease. The camp today is open to the public as a memorial site. It clearly shows how different governments left their political imprint on the camp. First and foremost, Sachsenhausen was used as a concentration camp by the Nazis. After the camp was liberated on April 22, 1945, by Soviet and Polish troops, the Soviets used the site and its structures as an internment camp for political prisoners from ​the fall of 1945 to 1950. In 1961, the Sachsenhausen National Memorial was opened in the GDR. The East German authorities destroyed many of the original structures and used the site to promote their own communist ideologies. There are a million stories connected to this site, but here are the basics of what you’ll see at Sachsenhausen. The guard tower and entrance to the prisoner’s camp with the infamous slogan “Arbeit macht frei” (Work makes you free). This is where inmates had to assemble for roll call several times a day, often suffering for several hours in the rain or snow. The barracks of the Jewish prisoners at Sachsenhausen between 1938 and 1942. The barracks display reconstructed bunk beds, lavatories, and eating areas. There is also a museum which presents The Everyday Life of Prisoners in Sachsenhausen telling the personal stories of various inmates through photos, audio, letters, and movie clips. This structure was built to hold prominent opponents of the Nazi Party. It has the original cells and a small exhibition about Georg Elser who tried to kill Hitler in 1938. The former kitchen now houses another excellent exhibition about key events in the history of Sachsenhausen. In the potato cellar downstairs, you can see some authentic murals and wall paintings from the era of the concentration camp and the Soviet Special Camp. The original barracks housed the infirmary of the camp and are now a museum dedicated to “Medical Care and Crime in Sachsenhausen”. The exhibition focuses on medical experiments conducted in the camp, such as compulsory sterilization and castration. Station Z was literally the last station in the life of inmates. Visitors can see an execution trench, the foundation of the gas chambers, the burial ground with ashes of victims of the camp, and the crematorium. If you visit the memorial site without a guided tour, get an audio guide and map from the Visitor Center. If you prefer taking a guided tour, check out Mosaic Tours, the only non-profit tour of Sachsenhausen. Although there are several museums on-site, the majority of your visit will take place outside. Check the weather forecast and come prepared (umbrella, rain gear, sunscreen, etc). There is no food for sale on site, so bring water and a snack to eat (it is allowed to eat on-site, but be respectful). Dogs are not permitted within the memorial grounds. Although the memorial site is open daily, the on-site museums are closed on Mondays in winter. The S-Bahn (Berlin metro) takes visitors to the site with the ABC zone ticket. The ride takes about an hour and leaves frequently from the center of the city. Check return times to avoid a wait back in. Use the route planner for your trip. Following the signs to the memorial by foot. The walk takes around 20 minutes.